Do you want to learn how to draw a cartoon dog? 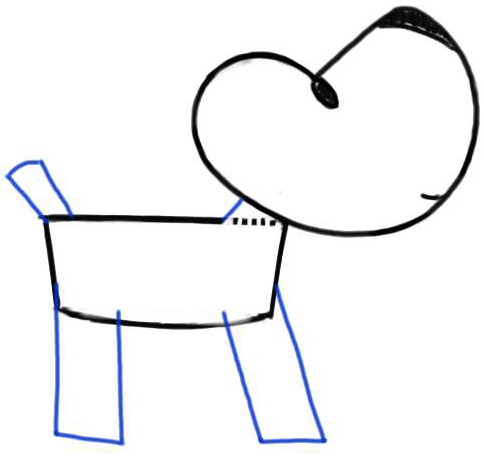 Here is an easy cartoon dog to learn how to draw. 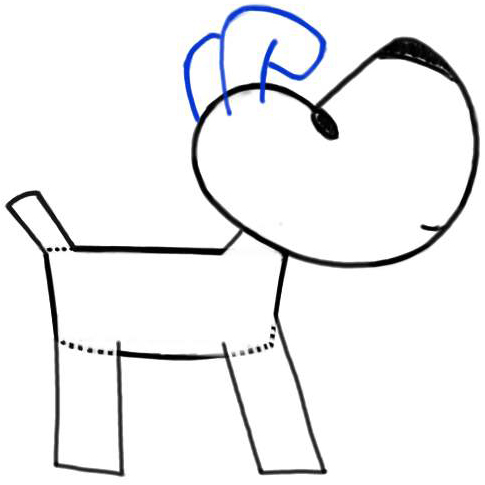 We will show you how to draw Reks the cartoon doggy with simple to follow steps. 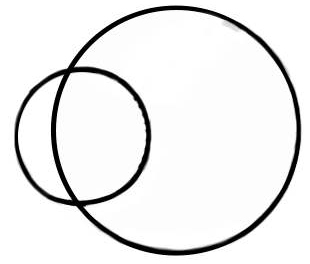 Join two circles like it is shown in the picture. Erase the lines we don’t need any more. Draw the eye. 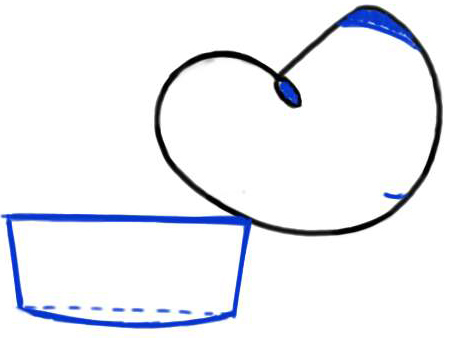 Draw the body in a shape of a rectangle with a slightly curved bottom line. Draw the nose and the smile. Now, draw the tail, the neck, and the legs. 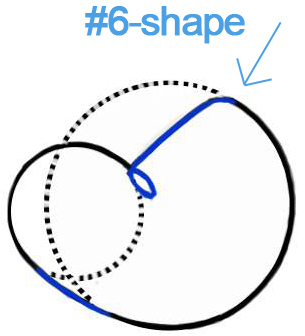 Draw the ears, then clean up your drawing – erase the lines we don’t need. Draw the two legs behind those we just draw in step 4. Clean up your drawing, when finished – erase all the auxiliary marks and lines, make the lines of your drawing look neat and smooth. Add color patches on the ear and on the dog’s back. 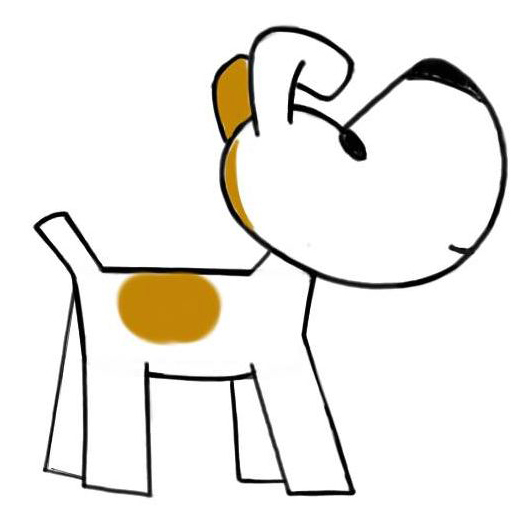 And now you have a finished drawing of a cute cartoon puppy doggie. I hope that you like how yours turned out. 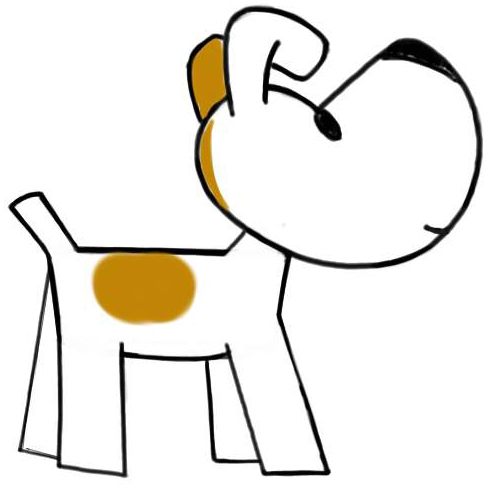 Come back and learn how to draw other animals and cartoons! This article was written on 21 Jan 2014, and is filled under Animals and Creatures.